You'll enjoy a bit of beach vacationing at Mooloolaba Beach and Noosa Main Beach. 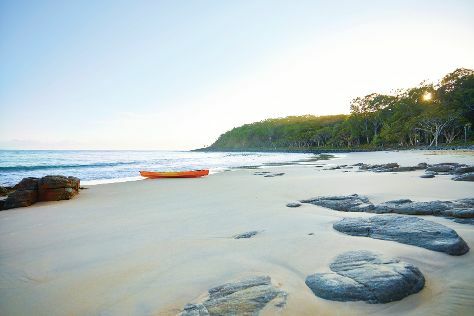 Step out of the city life by going to Noosa National Park and Peregian Beach. Change things up with these side-trips from Noosa: Kings Beach (in Caloundra) and Maroochydore Beach (in Maroochydore). Next up on the itinerary: contemplate the waterfront views at Noosa River and take a stroll through Hastings Street. To find reviews, where to stay, more things to do, and other tourist information, read Noosa trip planner . Wrap up your sightseeing on the 24th (Sat) early enough to travel back home.